John Abraham’s Romeo Akbar Walter, which started with an underwhelming response, has set the cash register ringing at the ticket window. The spy-thriller film’s Saturday collections have registered growth of around 40 per cent from Friday. Director Robbie Grewal’s espionage-action-thriller witnessed an average beginning at the box office and have received mostly negative responses from movie critics. 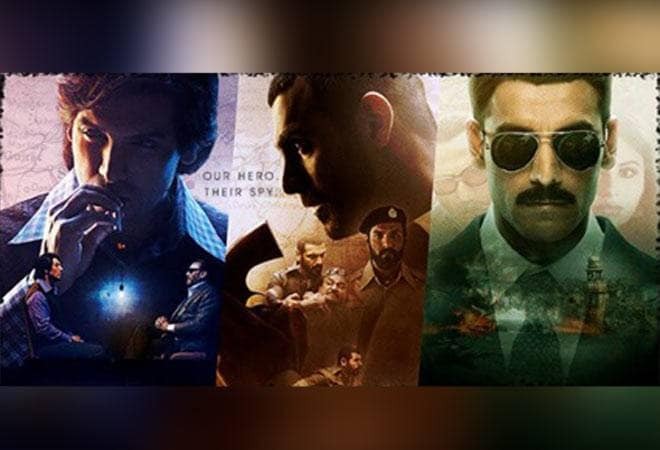 John Abraham’s movie, which is inspired by a true story in 1971, has managed to gross Rs 7 crore on Saturday, reports BollywoodHungama.com. Romeo Akbar Walter, also known as RAW, had earned Rs 5 crore on Friday. The movie sees an upwards trend primarily at among the multiplexes’ audience. John Abraham’s movie is taking advantage of its solo release as there isn’t much competition from previous releases either. While Vidyut Jammwal’s Junglee is earning very low and Kesari in its third week, director Robbie Grewal’s film has managed to collect Rs 12 crore in two days of its release. The movie is also expected to cross Rs 20 crore in its first weekend against the budget of approximately Rs 35 crore. RAW was released in around 2,000 screens across India. John Abraham’s Romeo Akbar Walter narrates the real-life story of a RAW agent, who devoted his entire life in service of the nation. RAW also stars Mouni Roy, Jackie Shroff, and Sikandar Kher in supporting roles.